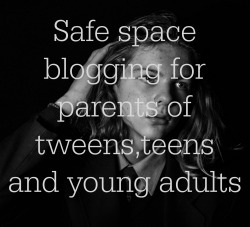 Last week I told you I would be offering my blog to parents of older children as a safe space to blog anonymously. It will both help them to offload and help other parents who may be going through the same situations in silence. I’m pleased to welcome my first anonymous blogger today. My son and his wife are having a baby. At the time of writing, our daughter-in-law is 16 weeks pregnant and we’ve known for nine weeks. 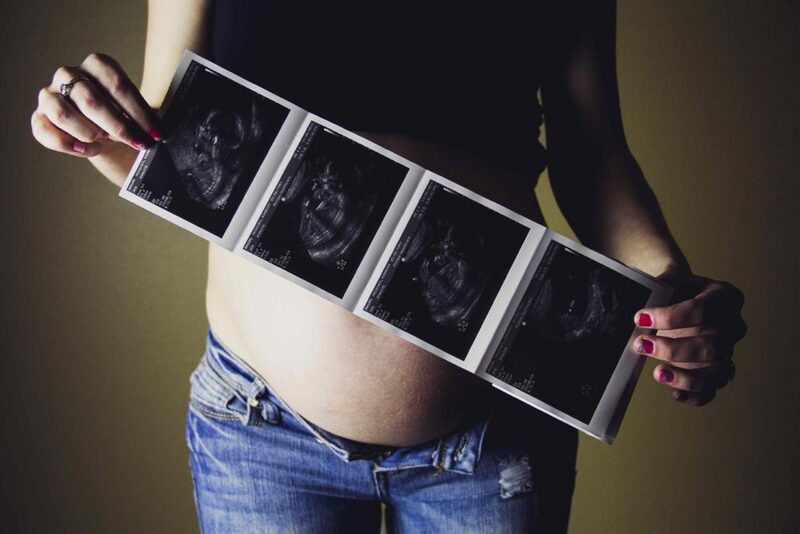 We fully respect their decision to wait until the 12-week mark, scan and confirmation of due date before they told their wider family and friends. We have of course told a few of our friends that we are going to be grandparents and they’re very excited for us, as are we. I’ve bought a few little gifts, sent a card and we are being kept informed of scan and midwife dates and how the pregnancy is progressing. But our son and his wife haven’t made the information public, as in they haven’t posted their news on Facebook yet. Neither of them really uses social media much and I’ve hinted at how excited I am to be able to talk openly and freely, how I feel like I’m lying when friends ask me if there is any sign of me becoming a Granny. But all I’ve been told is they are still telling a few people face to face, which they are in no hurry to get around to doing, and they’d rather keep it offline for now. This really worries me, why? It shouldn’t. They’re talking to us, sharing the updates with us, we’ve a group family chat, it’s just like the old days. When I first became a parent, word of pregnancy didn’t explode online, it just filtered down the jungle telegraph, with random friends of my parents stopping me in the town to congratulate me. But times have changed. I blog, tweet, Instagram and Facebook daily. I talk about everything going on in my life, and I mean EVERYTHING. My health, the death of my father, empty nest, fall out with friends of 15 years, loneliness, travel, the kids and their careers, where they live, their new partners, their engagements, weddings, extended families. But IT’S NOT MY NEWS TO BE SHARING. I know that. I’m fully aware of that, BUT it is a huge change in my life. I’m going to be a grandmother. I feel restricted that I can’t comment on posts freely that I’m now reading as this new stage of my life approaches. I want to tag them in memes I see on Facebook or in posts that I think they’d benefit from. I have to keep remembering to cut and paste and send privately. I can’t talk openly online or in real life, for fear of someone tagging me in a grandparent meme or calling me granny in a post. I’m worried I’m going to mess up. I also worry about the future. When the next grandchild arrives to the next child, who is more active on social media, who will share their news online and I will share their posts. I’m worried because at some point in time my son and his wife might say I wasn’t as interested in their pregnancy and their child, that I didn’t share photos or updates as freely as I do with the next grandchild. I have every reason to worry about this. It’s happened in the past with the eldest – how I did more for the younger ones (they all feel the same way), how I didn’t help him with things as an adult that he didn’t tell me about, or told me to keep out of, then told me I ignored him. Even with his wedding, I was asking too many questions (like I’m doing now) and then he was upset that I wasn’t asking questions any more. I guess parenting doesn’t get any easier as your children grow or they become adults. I’m grateful for this space to be able to talk openly about this topic and, as and when I get accused of not being bothered, I can share this link with them and say ‘yes I was’. Frustrating not to be able to talk openly about your family news. It sounds like you are stepping on egg shells a bit trying not to rock the boat. I’ve no advice to offer, but I hope you can shout about your great news from the rooftops very soon. Congratulations! I agree, it must be really hard to stay quiet about something so exciting. I hope she is able to talk about it openly very soon. So sorry to hear you’ve had personal experience of this. It’s true that us bloggers do like to share a lot! I hope she will be able to share the news when her son and daughter-in-law feel ready. It is wonderful that you are respecting their privacy. They must appreciate that. It is important that she respects their privacy even though she’s itching to share the news! I’m sure they will appreciate it. It is hard for her, but hopefully he son and daughter-in-law will be ready for her to share the news soon. I have the same my younger son has 2 of my grandchildren but they never get a mention on my blog as that is the parents wish. They share very very very little of their lives online, maybe 1 or 2 Facebook statuses in a year, but that is their choice. I am sure at some point the other two may well ask why they were not on the blog, why I did not talk about taking them the park etc. Do we through social media share far to much with far to many people? – yes we probably do. It is difficult but I am glad you are respecting their wishes and not alienating them and risking harming any future relationship. It’s interesting to hear that you are in a similar situation and I’m sure she will be pleased to read that she is not alone in that situation. You do a very good job of keeping them off your blog and respecting your son’s wishes. Well firstly, what wonderful news! Congratulations on becoming a grandparent very soon. I think it’s probably frustrating because you are so used to sharing everything online and this feels like major news to you. They obviously aren’t used to it and what to keep the impending news a bit sacred which I guess you need to respect. I take my hat off to you for respecting that though, it’s important. It is important to respect their wishes, even if it feels very alien to someone who is used to sharing so much online. I have a similar situation with my own sister, who doesn’t use social media at all. I’m not allowed to name my niece and nephew or put any photos of them on Facebook (the one place I do share recognisable photos of my own kids). They actually appear in a lot of photos with my kids, so there’s a lot I don’t share!